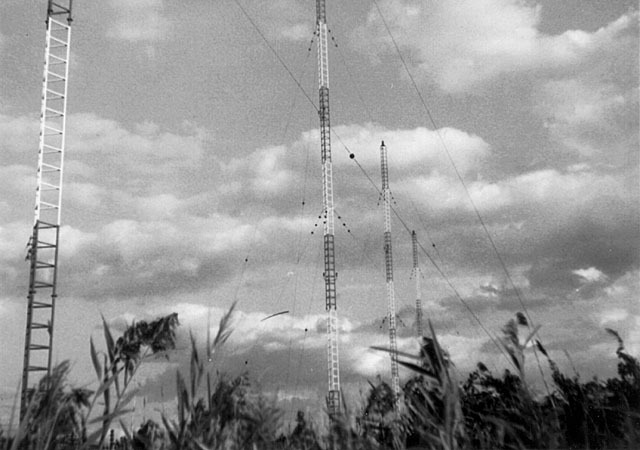 Star Tower of WSTR TV64 and WGRR 103.5 in Cincinnati, OH. built by television station WSTR TV64. It is located at the corner of North Bend and Winton Roads. It was built in the late '80's or early '90's. Thanks to Ken Yoder for supplying additional information. 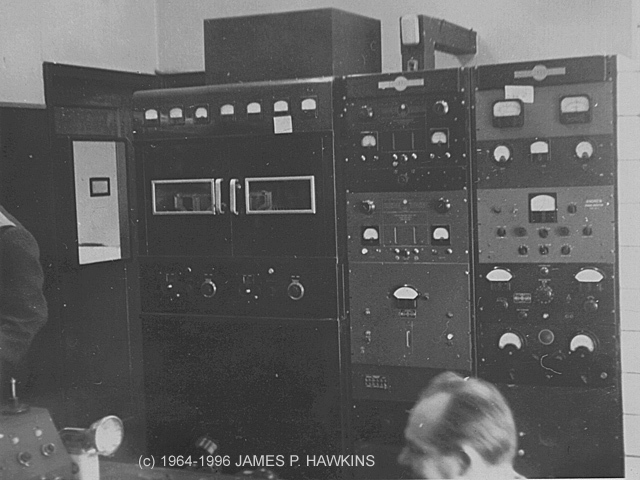 WJRZ Collins Model 21A, 5KW Transmitter. 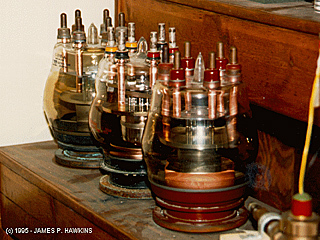 vapor rectifiers for full wave, 3 phase rectification. 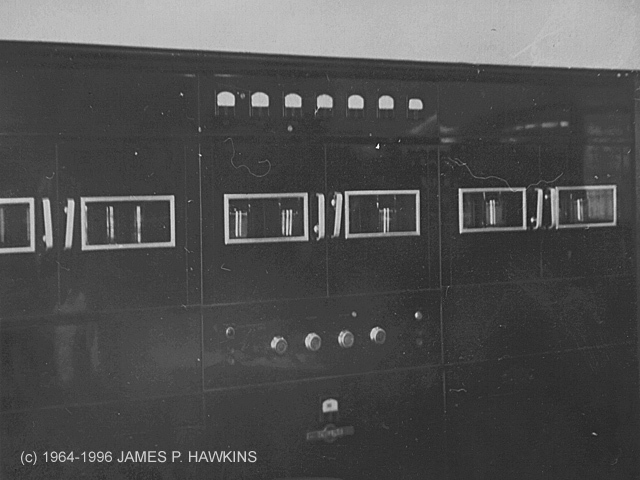 cabinets, each with 2 pairs of 833 tubes. 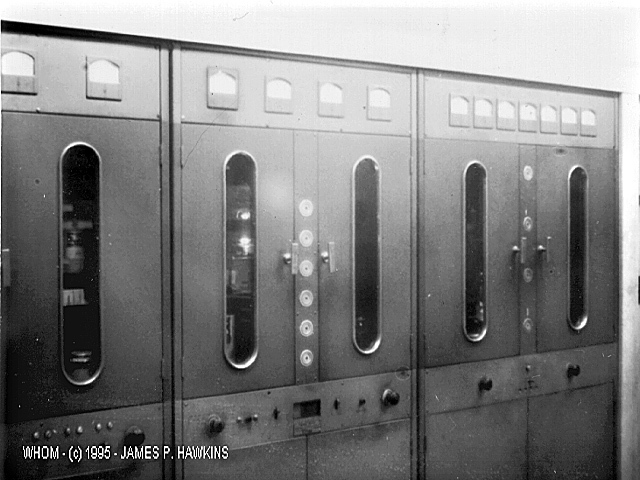 Leftmost Unit is antenna phasing control unit. Thanks to Frank Berry for the equipment details! 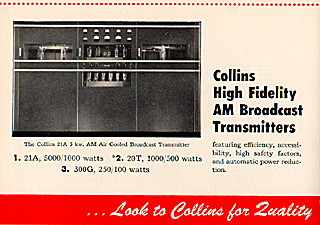 The Collins transmitter used at WJRZ appeared in an ad in "The radio amateur's handbook" 1946 Edition, page 50 of ad section. 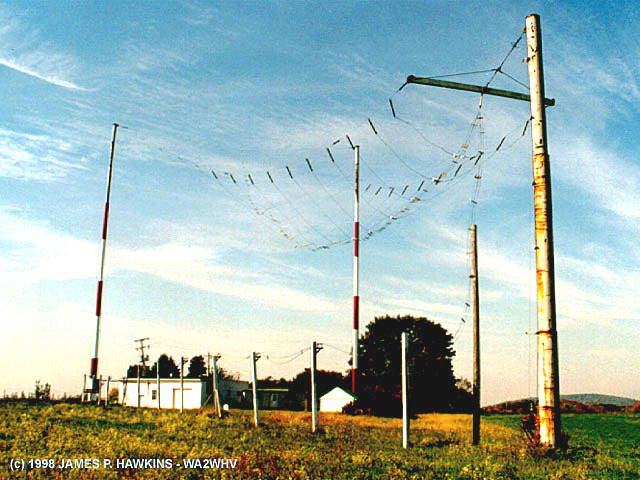 I bought the edition at a hamfest because I was born in 1946! 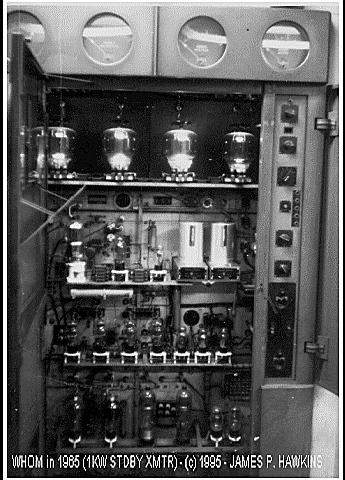 View of WHOM Western Electric 5KW Transmitter. What a MONSTER! (WWRL used the same model, unfortunately I did not bring my camera for the WWRL visit). tubes for the modulator and RF final. at the northern end of the NJ Turnpike. 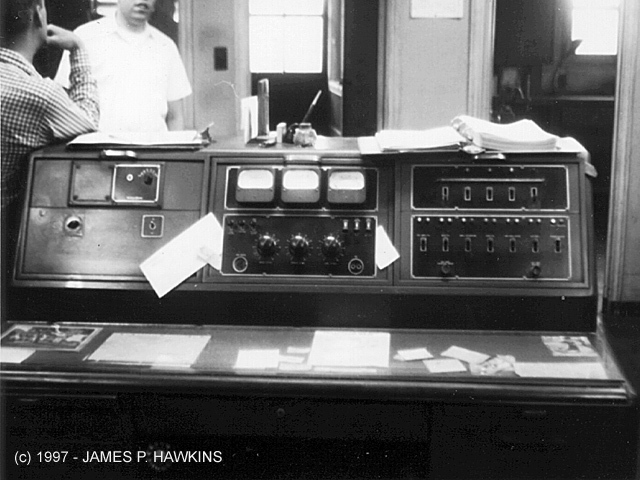 At the time, the station was Spanish speaking. 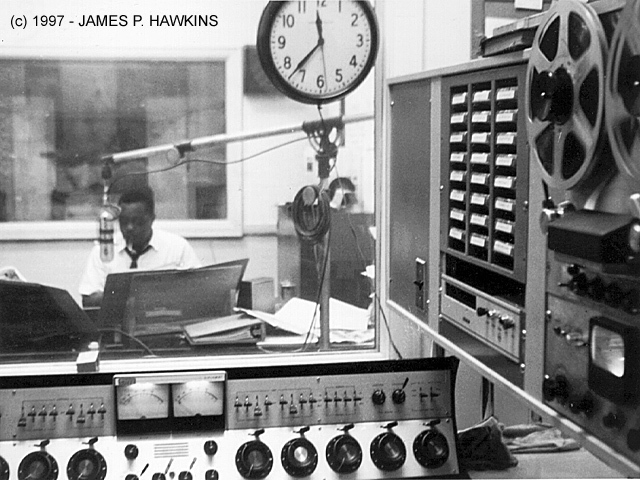 View of WNJR studio through window from control room. 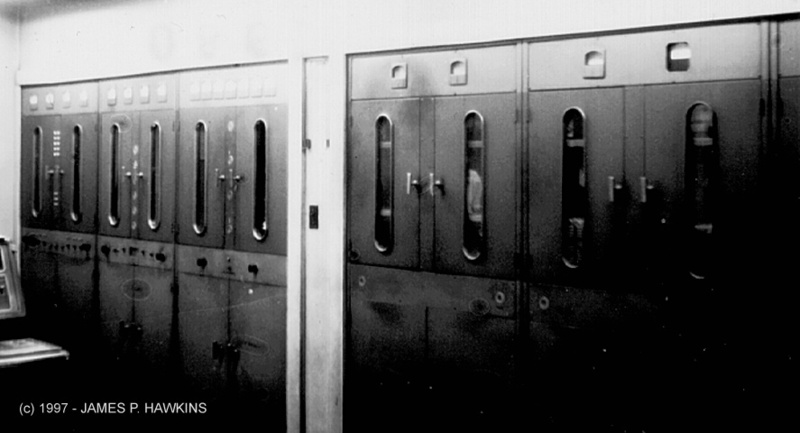 The facility was located near the UNION toll plaza on the right side of the Garden State Parkway southbound. 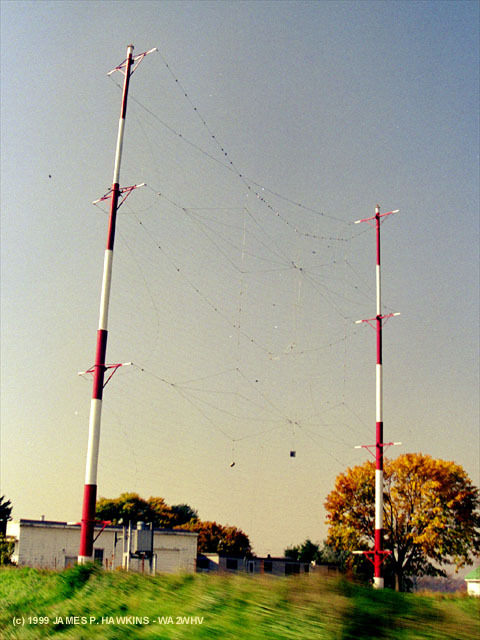 The antenna consisted of two pole-like structures rather than towers. The facility is gone, but there is a new facility on the other side of the Parkway. and driving to the site to get some good shots. The sky was much nicer also. 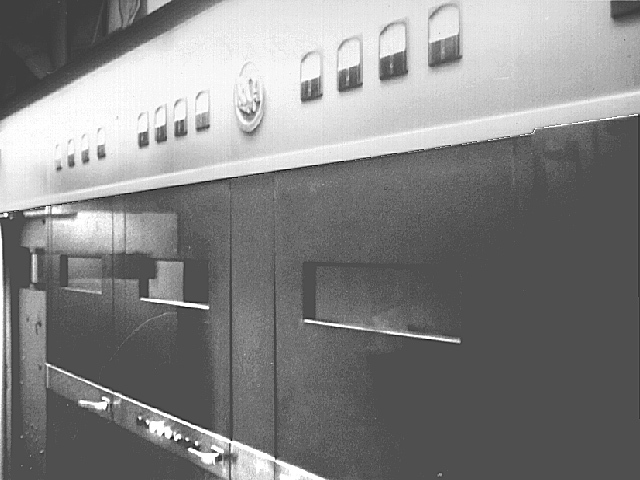 building is a converted filling station. 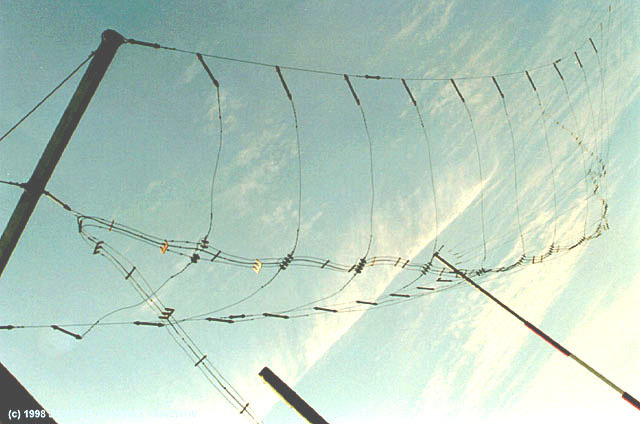 a type of curtain antenna 10/30/1999. 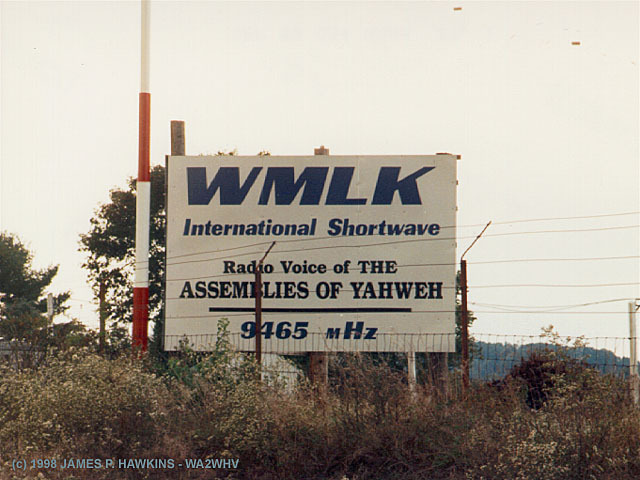 I took these photos, except where otherwise credited, through the years in my visits to various radio transmitter sites. Jim Hawkins - WA2WHV.